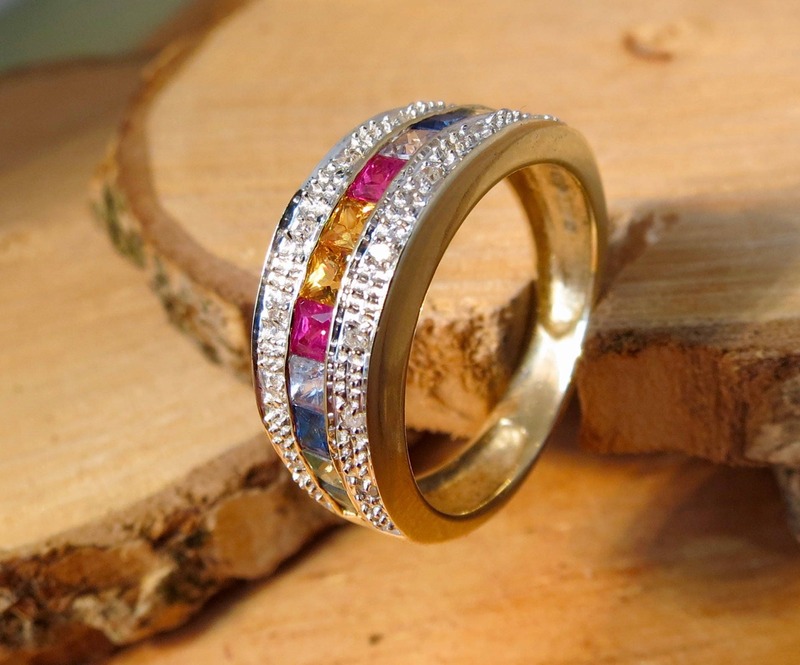 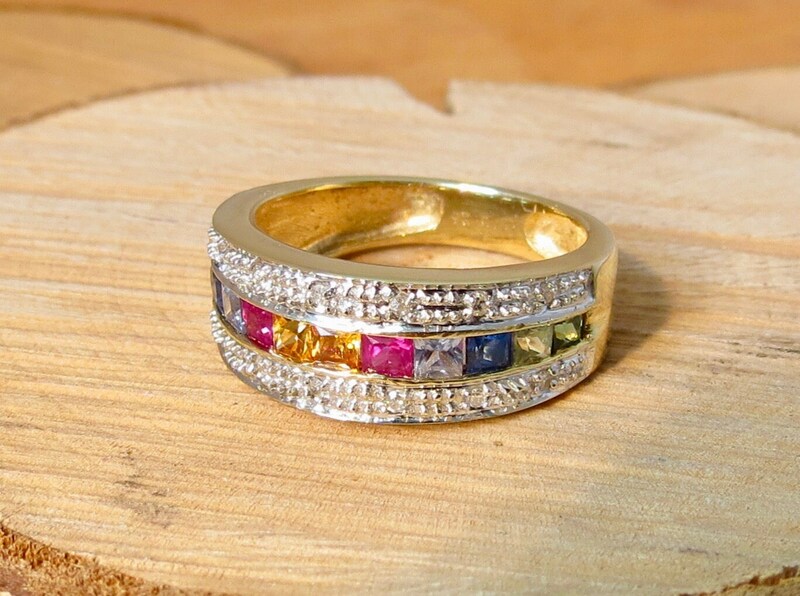 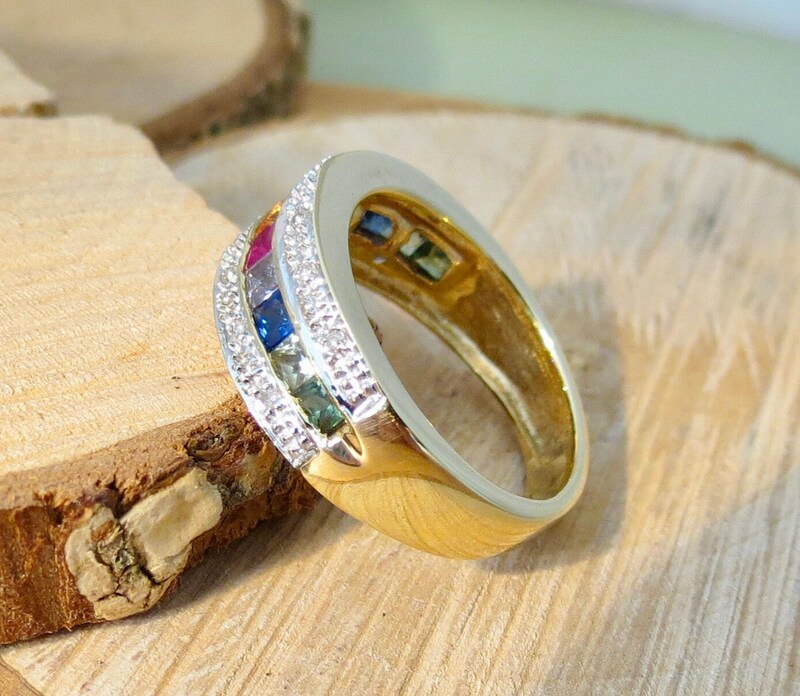 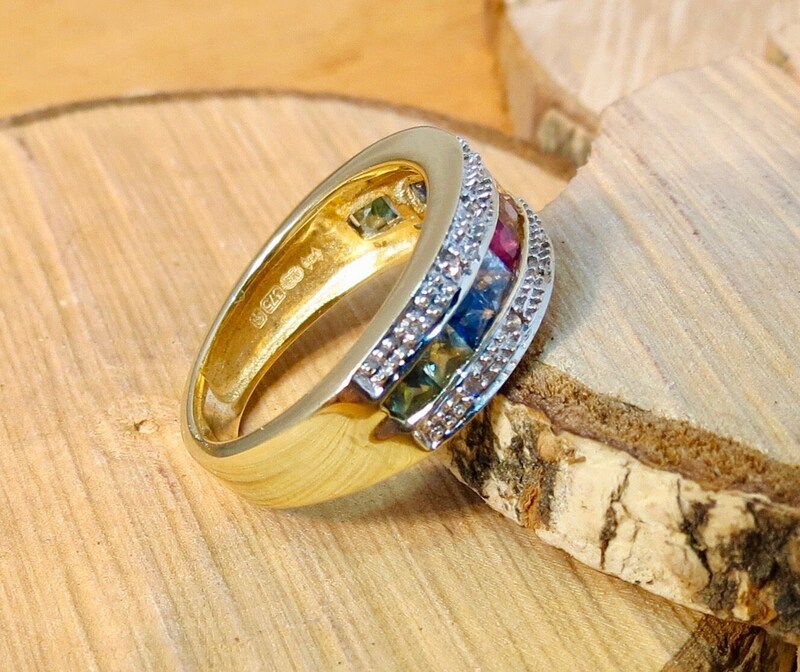 9K yellow gold multi precious stone ring with diamond accents. 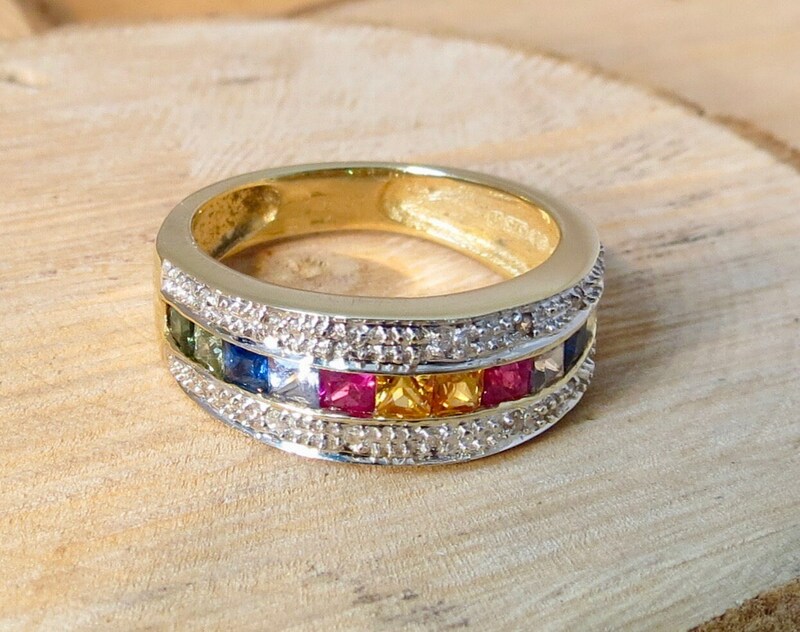 Emerald, peridot, blue sapphire, iolite, ruby, yellow sapphire. 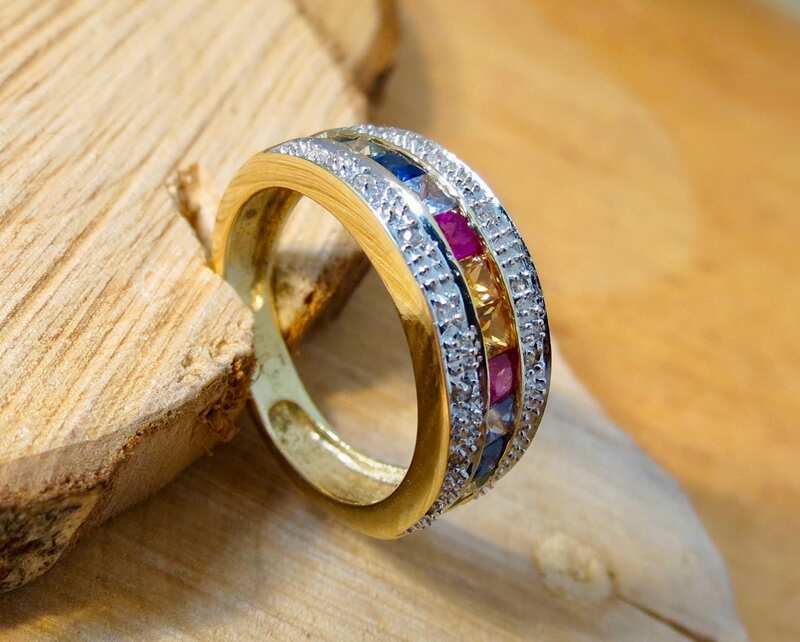 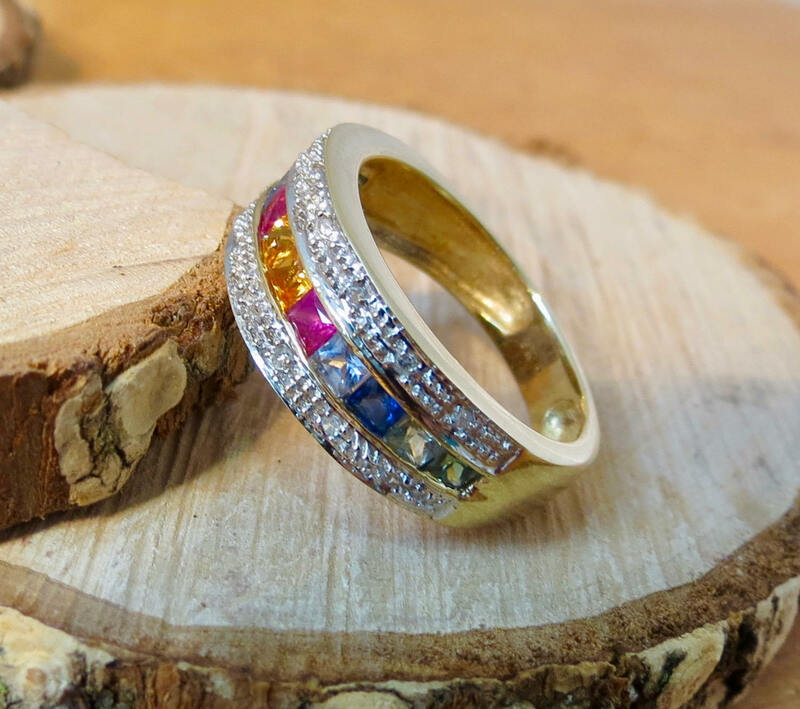 This vintage 9k yellow gold ring has 12 princess cut precious stones in a channel setting with a white gold diamond accented edge. 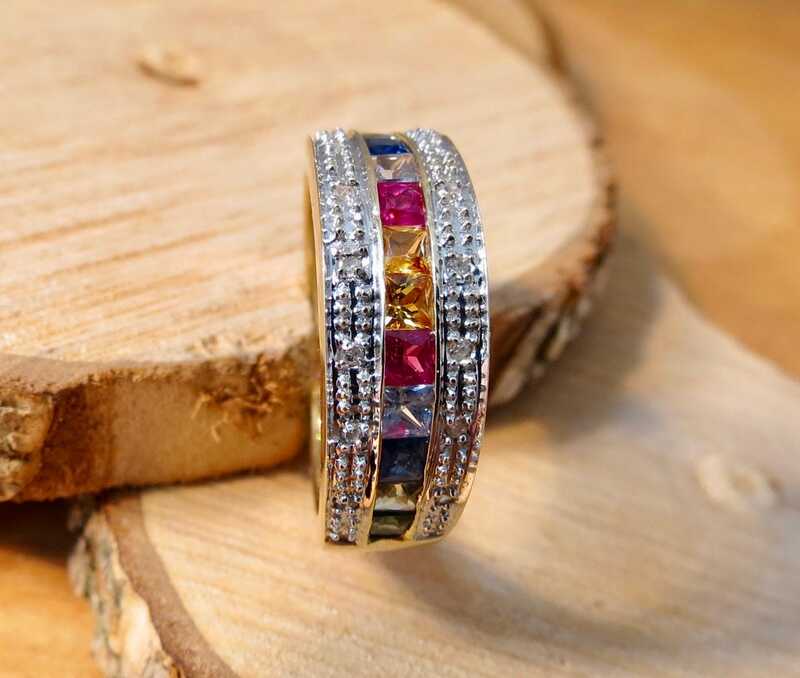 Emerald, peridot, blue sapphire, iolite, ruby, yellow sapphire, and then the same sequence again in reverse. 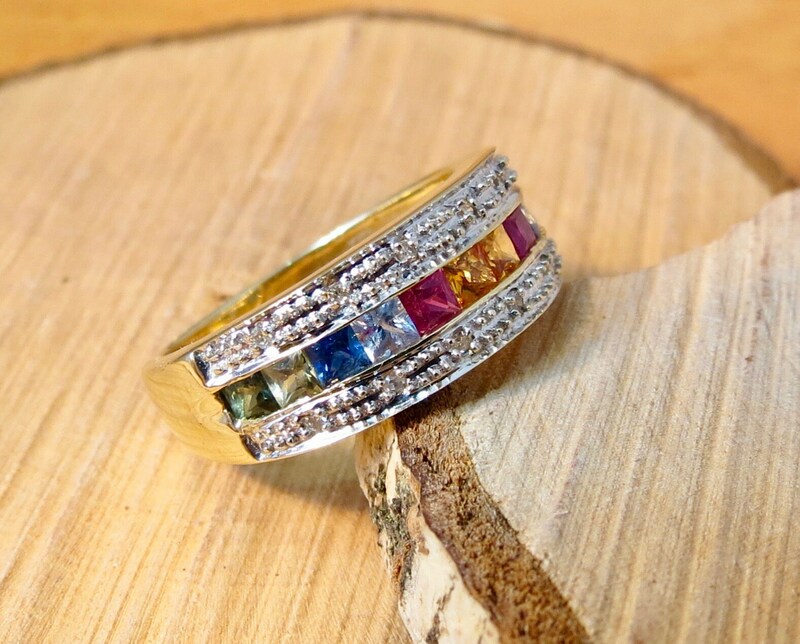 A wide band at 7mm (1/4 inch). 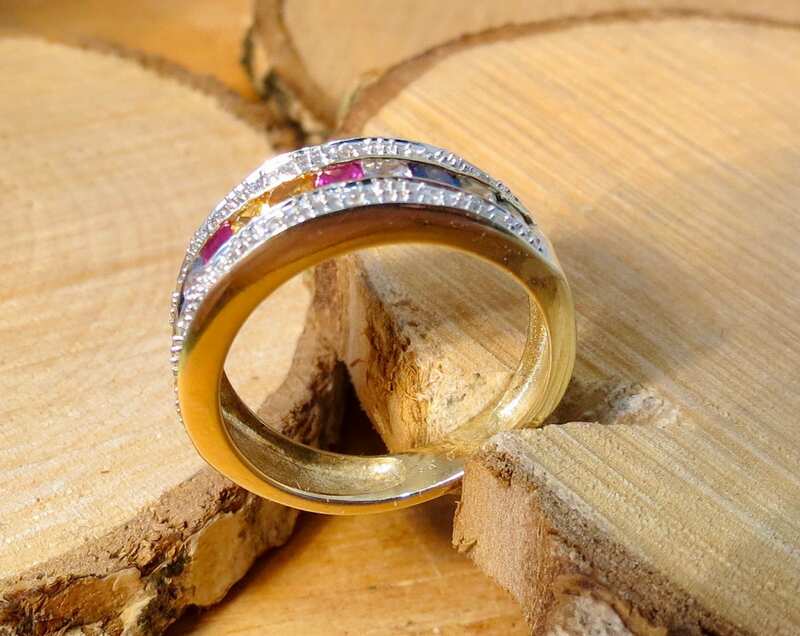 British hallmarks 9K stamped 0.07 point diamonds.